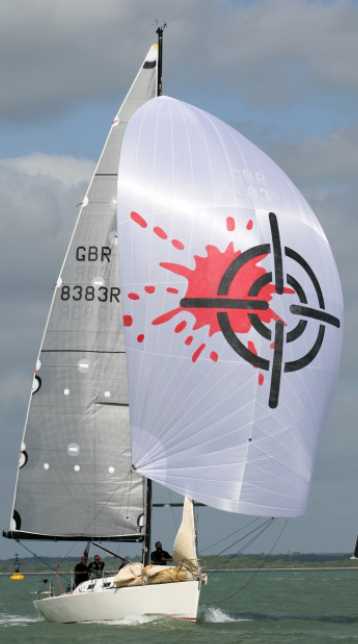 Round the Island Yacht Race 2019 – Individual Berths and Skippered Yacht Charter Available. 3 Day Event. 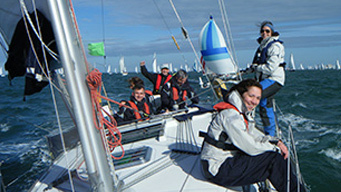 Round the Island Yacht Race (around the Isle of Wight) is just the most amazing event. Grab an available berth or charter one of our yachts with Skipper and be part of one of the world’s biggest yachting competitions – it is truly one of sailings greatest spectacles! 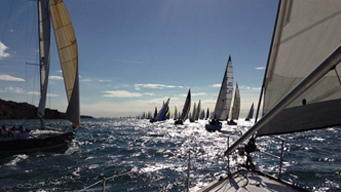 Around 1400 yachts and over 16,000 sailors compete in the Island Sailing Club’s Round the Island Yacht Race. 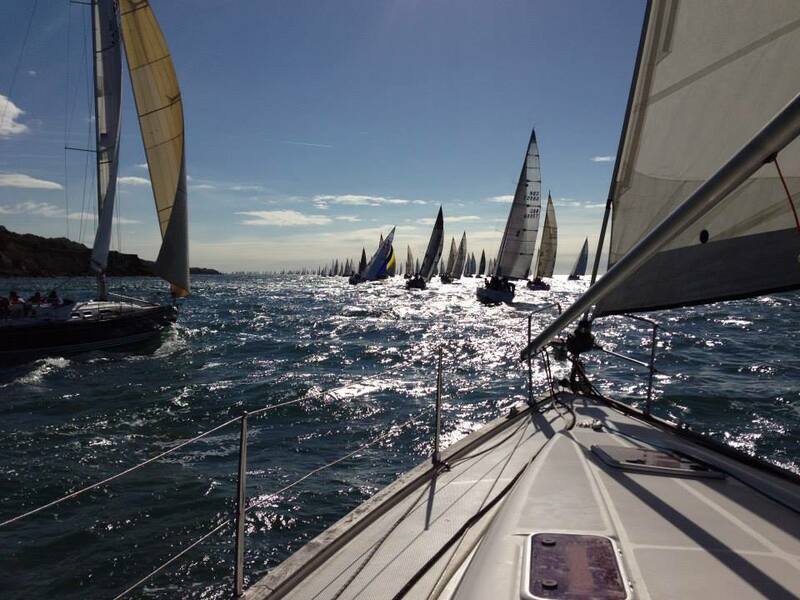 The yachts race anticlockwise around around the Isle of Wight, over 50 miles, starting at Cowes. It takes from 3 hours – 10 hours, depending upon the type of yacht and the wind. 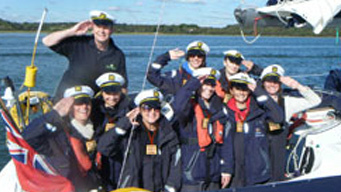 It is just a great weekend sailing experience. No previous experience is necessarily required. We have race prepared yachts and also cruiser yachts that are less complicated. Talk to us so that we can match you, your experience and attitude with the right boat! 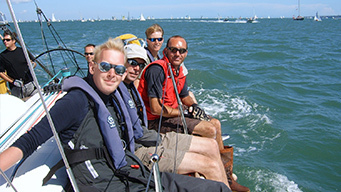 We have an experienced Skipper and First Mate on board each boat to help guide you through what is required on your Round the Island Race experience . We offer packages aboard the yachts as below with either a ‘per person’ price or a ‘charter price for complete yacht’ including a Skipper. NEED A VOUCHER ? – RING US NOW! 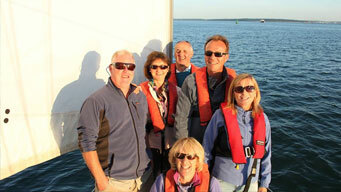 Mooring fees, food on board, accommodation on board, wet gear provided. The 3-day ‘book a berth’ option allows for a useful practice day meeting on Friday morning 0930 hrs. 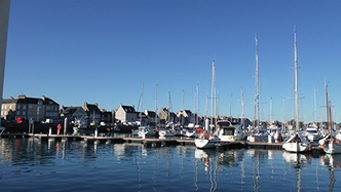 Boats will berth in West Cowes on a ‘walk-ashore’ mooring right in the heart of West Cowes for Friday / Saturday night to allow access to enjoy the shore-side ambiance and festivities. Yachts depart and return to Hamble unless stated otherwise.  There are specification sheets which detail the exact package applicable to each yacht. 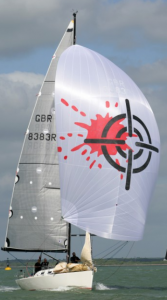 Prima 38 (10 Berth) Racer with Spinnaker – (RESERVED) This is a fantastic race boat with proven race pedigree and comes with race sails & spinnakers along with Skipper to help guide you and the all important First Mate to help out on the fore deck with spinnakers, hoists, gybes and drops. Max 8 clients. Please contact us to determine availability of book a berth and also complete yacht charter availability – this event always sells out but it is worth contacting us even late minute as last year we were able to put on an additional yacht at late notice! 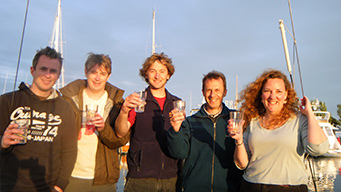 Ages 14-80 Years Crew on Board in 2015 – Read what the Keys family made of it!